AUSTIN, Texas– Deep Eddy Vodka, an American-made and family-owned spirits brand, is proud to salute the United States Armed Forces this summer with the Authentic American Program. As the fastest-growing Vodka in the United States, the Austin-based distillery will pay homage to the USA with a limited-edition bottle and charitable donation to Folds of Honor. Supported across social media channels and through patriotic point of sale items and displays, the Authentic American Program captures the essence of Deep Eddy Vodka and the American spirit. The brand is inspired by the oldest swimming hole in Austin, sources ingredients from family-owned, American farmers for its ingredients, and strives to maintain a 99 percent efficient and waste free production process. Deep Eddy Vodka recognizes and appreciates the sacrifice of the American military, as well as their commitment to caring for their families. Through the ‘Authentic American’ Program, Deep Eddy Vodka will donate a portion of proceeds to Folds of Honor, a 501c3 non-profit organization working to provide scholarships for the relatives of fallen military soldiers. The ‘Authentic American’ Deep Eddy Vodka is available for a suggested retail price of $17.99 for the 750ml and is bottled at 40 percent alcohol by volume (80 proof). The launch of the new custom label, on the 750ml and 1.75L is supported by custom labels, American flag shippers and foil stamped neckers that feature the Folds of Honor organization. 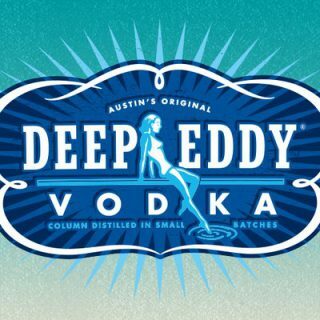 Deep Eddy Vodka (70-80 proof), a premium spirits company based in Austin, Texas, is The Spirits Business 2017 Brand Champion for Vodka. As a recipient of the Impact Hot Brand Award for two straight years and Beverage Information Group Growth Brand Award each of the past three years, Deep Eddy Vodka is recognized for its unique production process and incorporation of real, natural ingredients in its flavors. Born in Austin Tx., Deep Eddy Vodka is ten times distilled and handcrafted in small batches using only premium ingredients. The company’s line of products include: Deep Eddy Original Vodka, Deep Eddy Sweet Tea Vodka, Deep Eddy Ruby Red Vodka, Deep Eddy Cranberry Vodka, Deep Eddy Lemon Vodka, Deep Eddy Peach Vodka and Deep Eddy Orange Vodka. Deep Eddy Vodka is available in stores in all 50 states. More information on the company can be found at deepeddyvodka.com or facebook.com/deepeddyvodka. Founded in 1935, Bardstown, Kentucky-based Heaven Hill Brands (heavenhill.com) is the nation’s largest independent, family-owned and operated spirits producer and marketer and the world’s second-largest holder of Kentucky Bourbon. Heaven Hill’s diversified portfolio of brands includes Evan Williams Bourbon; Larceny, Elijah Craig and Henry McKenna Bourbons; Rittenhouse Rye Whisky; Burnett’s Vodkas and Gin; Admiral Nelson’s and Blackheart Rums; HPNOTIQ Liqueur; The Christian Brothers Brandies; PAMA Pomegranate Liqueur; Domaine de Canton Ginger Liqueur; Lunazul Tequila and Carolan’s Irish Cream Liqueur.